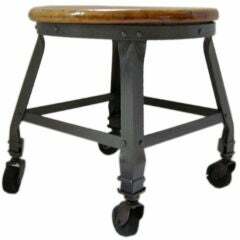 High stool of Polished Steel and Oak Wood seat. 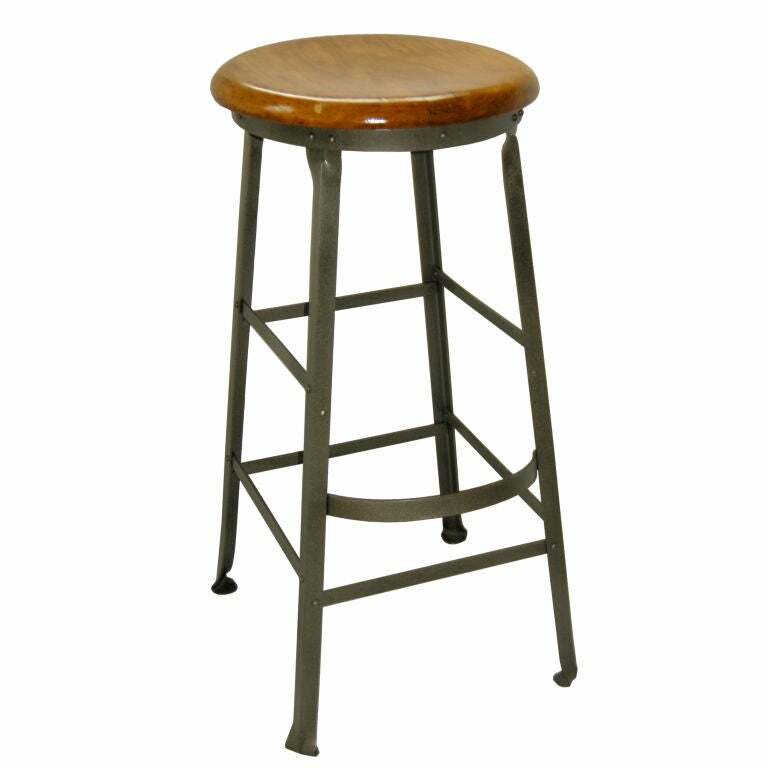 A steel chromed five legged stool. 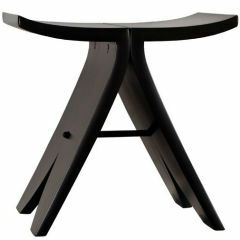 Swivel seat in a bright polished cast aluminium AG3 and anodised in silver. Dimensions: 47 x 43 x h. 71 cm.